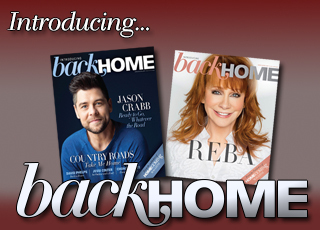 Homecoming Magazine wants to hear from you! In each Homecoming Newsletter, we are asking a question just for you Homecoming fans to answer and share what's on your heart! And if you didn't get a chance to answer questions from prior newsletters, click HERE to see a list of all the questions so far and leave a comment! We'd love to hear your answers! If you’d like to answer this question, just type your answer in the “comments” section below. Thanks! 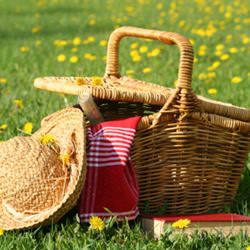 The theme for the Jul/Aug issue of Homecoming is “life is a picnic.” Now we know that life doesn't always feel like a picnic, but if we take time to be creative and see the beauty in everyday things, we can transform an humdrum day into a special memory. Whether we leave a secret note for someone to surprise them, take the kids outside with some sidewalk chalk and make a mural on the driveway, break out the special china to enjoy tea with a friend or take a simple meal outside with a blanket and turn it into a picnic, we can all find small, simple ways to enjoy life more and enrich the lives of those around us. How do you create that magic in your life, or do you have a special memory of a time when you did that for someone else? Or, can you tell us about how someone else created that magic for you, to brighten up an ordinary day?